Cole's Wild Bird Products Hot Meats 5 lbs. Cole's Wild Bird Products Cajun Cardinal 5 lbs. 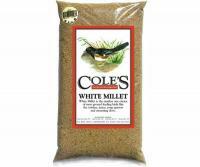 Cole's Wild Bird Products Niger Seed 10 lbs. 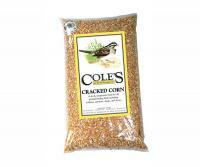 Cole's Wild Bird Products Niger Seed 5 lbs. Cole's Wild Bird Products Nutberry Suet Blend 10 lbs. Cole's Wild Bird Products Oil Sunflower 8 lbs. 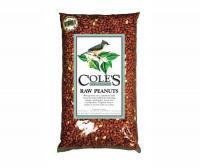 Cole's Wild Bird Products Raw Peanuts 5 lbs. Cole's Wild Bird Products Nutbetty Suet Blend 5 lbs. Cole's Wild Bird Products Safflower 5 lbs. 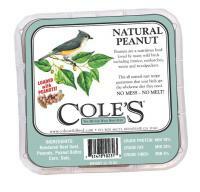 Cole's Wild Bird Products Whole Peanuts 2.5 lbs. 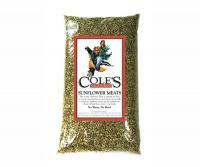 Cole's Wild Bird Products Sunflower Meats 10 lbs. 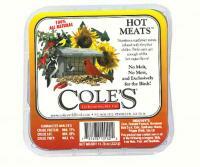 Cole's Wild Bird Products Sunflower Meats 5 lbs. 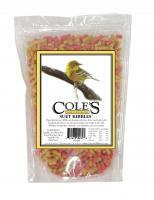 Cole's Wild Bird Products Suet Kibbles Lrg. Cole's Wild Bird Products Special Feeder 10 lbs. 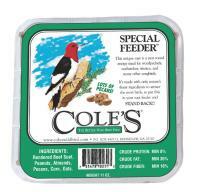 Cole's Wild Bird Products Special Feeder 5 lbs. Cole's Wild Bird Products Safflower 10 lbs. 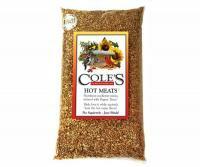 Cole's Wild Bird Products Blazing Hot Blend 5 lbs. Cole's Wild Bird Products Cracked Corn 10 lbs. Cole's Wild Bird Products Cajun Cardinal 20 lbs. Cole's Wild Bird Products Cajun Cardinal 10 lbs. Cole's Wild Bird Products Blue Ribbon Blend 20 lbs. 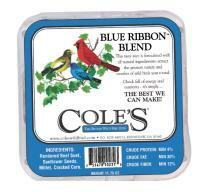 Cole's Wild Bird Products Blue Ribbon Blend 10 lbs. 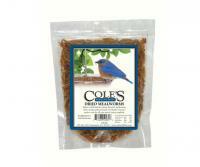 Cole's Wild Bird Products Blue Ribbon Blend 5 lbs. Cole's Wild Bird Products Blazing Hot Blend 20 lbs. Cole's Wild Bird Products Blazing Hot Blend 10 lbs. Cole's Wild Bird Products Critter Munchies 5 lbs. Cole's Wild Bird Products Critter Munchies 10 lbs. Cole's Wild Bird Products Hot Meats 40 lbs. Cole's Wild Bird Products Hot Meats 20 lbs.